A Content Management System (CMS) is an Internet-based software that allows you to organize and keep track of text, photos, videos, documents on your website. At Red Flag, we provide web-solutions integrating the main open source CMS leaders in the market – WordPress, Joomla or Drupal – in order to increase scalability and robustness, ease the ability to deal with maintenance and upgrades, and reduce the overall project cost. As free open source CMS WordPress, Joomla, and Drupal instantly provide websites with content editing, publishing and reviewing features through a web-based user-friendly interface so the end-user doesn’t need to have any IT skill in order to manage the website’s content. Moreover thanks to the beauty of open-source there are hundreds of plugins that extend what a CMS does. Therefore the actual functionality of any CMS is nearly limitless. Pages Management Create / Edit / Publish / Delete. Text Content Add / Update / Delete Text Content. Links Add / Delete Links. Images Upload / Resize / Delete. Videos Upload / Add / Delete. Basic SEO Add / Update / Delete Keywords / Website Description. Web Traffic Analytics Add / Update / Delete Google Analytics / Other Analytics. Templates Upload / Activate • Template. Some templates are so well designed that only basic customization – logo, colors – is the only design bit left to do. The main purpose of a Content Management System (relating to the web) is to provide the capability for multiple users with different permission levels to manage a website or a section of the content. For example, you can take a website which has Articles, Blogs, Press Releases, Store, Events and assign each section or a part of a section to the users to create, edit, and archive. So here is few popular Content Management System Softwares. Magento is an e-commerce platform built on open source technology which provides online merchants with a flexible shopping cart system, as well as control over the look, content, and functionality of their online store. Drupal is content management software. It’s used to make many of the websites and applications you use every day. Drupal has great standard features, like easy content authoring, reliable performance, and excellent security. But what sets it apart is its flexibility; modularity is one of its core principles. 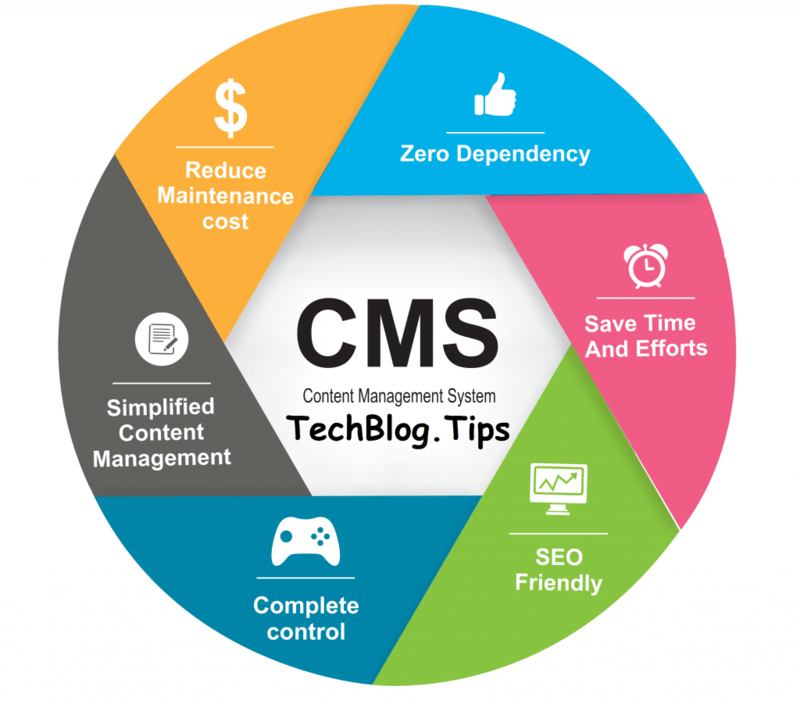 Thank you for reading this article hope it will help understand about content management system. for more articles like this please follow our blog regularly.